Bike Racks - Hitch - Towing Truck & Car Racks from Proline: Thule Racks, Yakima Ski Racks, Bike Racks Canoe and Kayak Racks Cargo Carriers and Truck accessories. 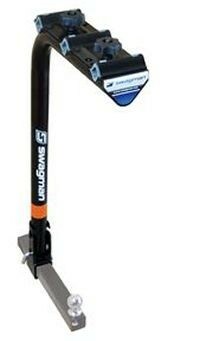 Swagman 4 Bike fold down towing hitch receiver bike racks model 64675. Holds up to 4 bicycles. Towable bike carriers. 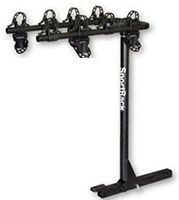 SporRack SR2414 bike towing hitch receiver mounted bicycle racks. 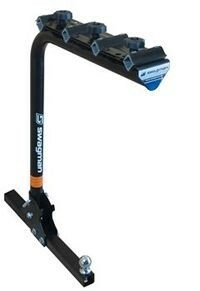 Swagman 64600 3 bike towing hitch receiver mounted bicycle racks. 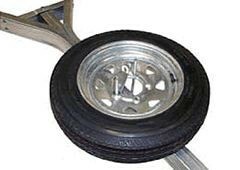 Malone MPG465 Spare tire kit for Microsport trailers includes locking attachment.